Team Star Fox arrives on Wii U for a new adventure An evil empire has risen and the Lylat system is in danger. As legendary space pilot Fox McCloud, blast through an onslaught of enemy forces to bring peace to the galaxy. In this white-knuckle space shooter, it’ll take more than luck to master the Arwing jet, the Gyrowing flight drone, and the Landmaster tank! You have what it takes. Now prove it. 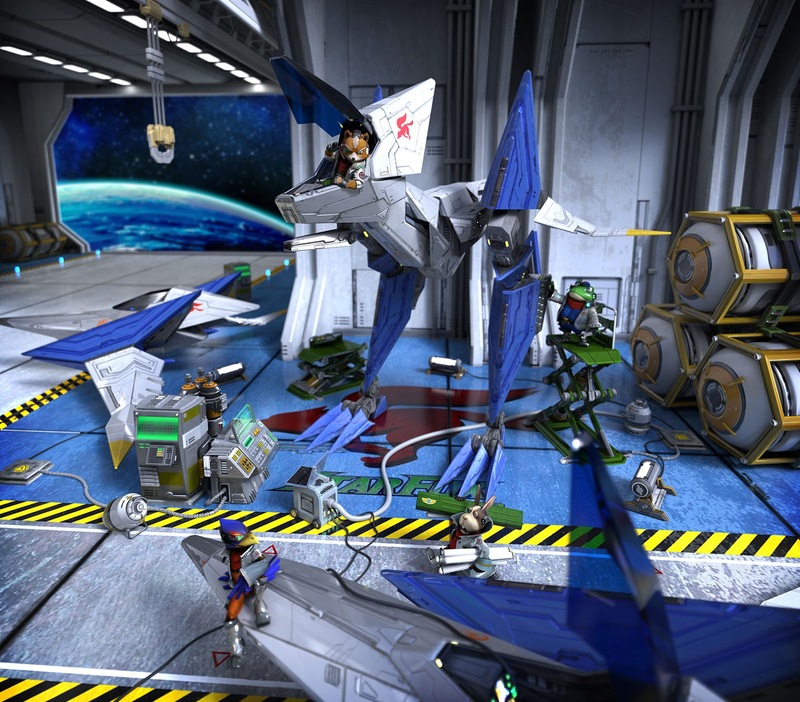 With the help of the rest of Team Star Fox, tackle missions in the air and on the ground in a variety of planets teeming with enemies.Then engage vast armadas of powerful ships in outer space dogfights. Master your craft, defy the odds, and earn your face-to-face meeting with Andross. Only you can restore peace to the galaxy! Features: Take down an intergalactic onslaught of enemy forces. Pilot a variety of vehicles in the air and on the ground. Hone your skills as the legendary pilot, Fox McCloud. See your surroundings on your TV, and get a different view on the GamePad by tilting it to aim. The site also says that it has online "features" and Multiplayer. How far this multiplayer goes remains to be seen. I'm excited to see some more information on the full website soon.